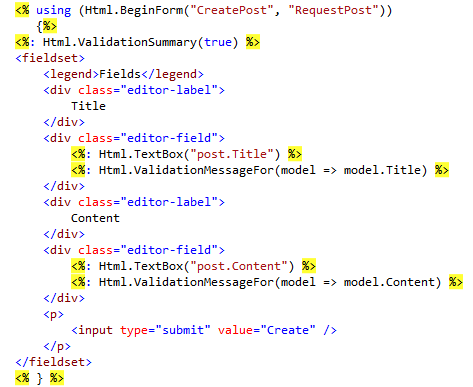 In short, Model Binding is responsible for binding values passed in HTTP Requests to Actions’ parameters. 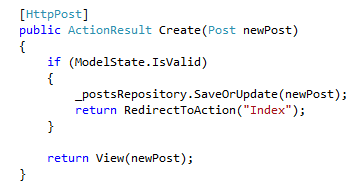 PostController class would result in the code below. And here is the test for the controller class. 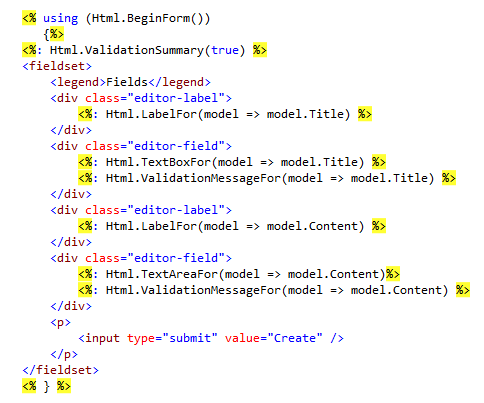 To do that, we need to extend ModelBinding mechanism so it can bind the value of a User type. This is really simple. 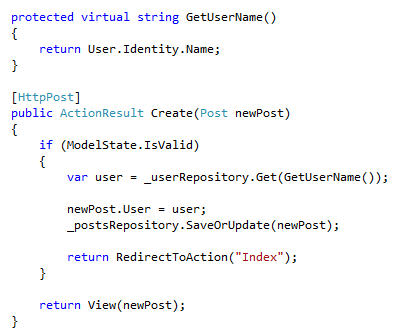 All we have to do is implement IModelBinder interface and register it in the Global.asax. The code below shows the extension. Everything is now configured and we don’t need to worry about retrieving the logged user anymore. 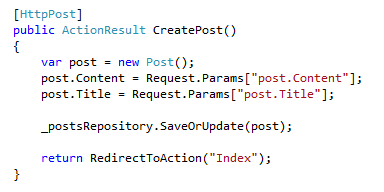 In adittion to that, it’s much more easy to test PostController class. 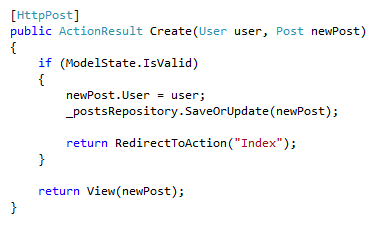 We can create a new user and pass it as parameter, as shown below. 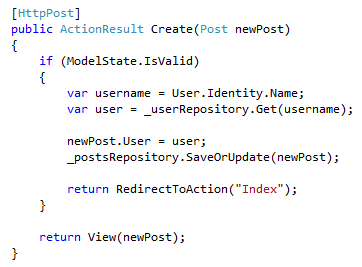 To conclude, Model Binding is a very importante feature of ASP.NET MVC framework, saving us a lot of work. It is also extensible and allows us to create our own bindings and testable applications.